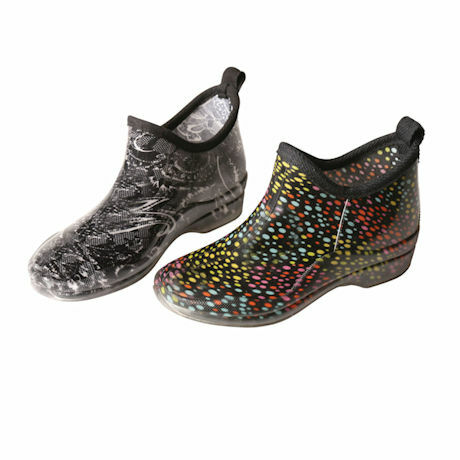 Semi-transparent boots have a soft trim around the top, and totally cute pattern in its water-resistant construction; looks great with leggings tucked into the bootie. One-piece molded PVC. Imported. Whole sizes 6-11. Specify Multicolor or Black/White.